EagleSpeak: Baloney at the Navy Top: "We use too much fossil fuel"
Baloney at the Navy Top: "We use too much fossil fuel"
. . .Secretary of the Navy Ray Mabus, described energy as the main vulnerability to U.S. national security in his keynote address. 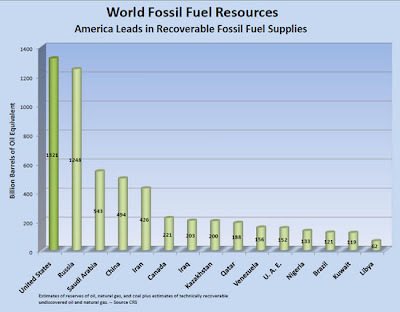 The problem is not that we use too much fossil fuel, the problem is that we have allowed ourselves to become dependent on imported fossil fuel, despite sitting on the world's largest deposits of "fossil fuels." Lines that we can control or eliminate. We import 51% of our oil, with 51% of that from the Western Hemisphere (thanks Canada (23.3%), Venezuela (10.7%) and Mexico (9.2%)). Only 17% of our oil comes from the Persian Gulf states. What would it take to make it a national strategic priority to replace that 17% with domestic supplies? And then reduce the flow from Venezuela? The solution is not all that exotic. Instead of looking for "alternative" fuels as our primary energy sources, the emphasis should be on developing our known internal energy resources so that we eliminate the energy "vulnerability" identified by Mr. Mabus as soon as possible.Then we can chase windmills and solar fields and the like. It seems, however, that developing our own resources seems not to be the politically "in" thing right now, so we continue to squander money on half-baked projects that may actually be doing worse damage to both man and the environment than fossil fuels.For example, we continue to convert corn to ethanol despite knowing that it is both not as "green" as its proponents suggest and is helping to create food shortages that may stir civic strife in countries used to getting cheaper food. That strife I mentioned? Get ready for more humanitarian interventions and civil wars as this goes on. When we claim we're "hostages" to foreign energy, we're just being stupid. Politically correct, but stupid. How large is this resource? In the Piceance Basin, an area of 1,100 square miles, the oil shale is over 1 million barrels per acre, or roughly 750 billion barrels of recoverable oil. If you extend outward to Wyoming and to Utah, it is 1.3 trillion. 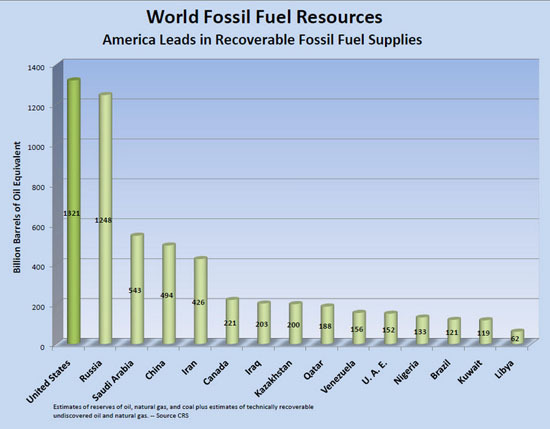 This is why you hear shale next to trillions, not billions or millions, of barrels. The Air Force in the 1970s looked at shale, tested it, and found that it was a superior liquid for jet fuel. Roughly 65 percent of the oil shale is liquid, which could go into jet fuel. The J-8 engine can take shale oil as premium jet fuel. Expensive? 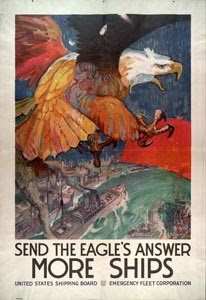 How much does it cost to have to defend sea lanes through which our imported oil flows? How many awful governments do we have to prop up to keep the foreign oil flowing. It's not the oil that's to blame, it's the lack of internal development of our known resources. It's not working to get a realistic balance of all the costs involved in our use of energy. Natural gas - another fossil fuel - we have more than we ever thought. Some of this "new" gas is due to the development of horizontal fracking and horizontal drilling. Is there some reason why U.S. Navy trucks and cars don't run on natural gas? Don't think it's safe to do horizontal fracking? Imagine if we put as much money into making it safer as we waste trying to convert switchgrass to ethanol. That may all work in some future, but the other supplies are here now and ready. The United States is home to the largest recoverable reserves of coal in the world. In fact, we have enough coal to last more than 200 years, based on current consumption levels. Coal is produced in 25 States spread across three coal-producing regions, but approximately 72% of current production originates in just five States: Wyoming, West Virginia, Kentucky, Pennsylvania, and Montana. For decades, scientists have known how to convert coal into a liquid that can be refined into gasoline or diesel fuel. But everyone thought the process was too expensive to be practical. The lone exception was South Africa, a one-time pariah state that had huge reserves of coal and, thanks to anti-apartheid sanctions, limited access to foreign oil. Sasol Ltd., a partly state-owned company, built several coal-to-liquids plants, including the ones at Secunda, and became the world's leading purveyor of coal-to-liquids technology. Now, oil prices are above $70 a barrel, and Sasol has emerged as the key player at the center of the world's latest alternative-energy boom. China is building a coal-to-oil plant costing several billion dollars in Inner Mongolia and may add as many as 27 facilities -- including some with Sasol's help -- over the next several years, according to a recent tally by Credit Suisse. In the U.S., the Defense Department is studying coal-to-oil technology as a way to reduce the American military's dependence on Middle Eastern crude oil. And the National Coal Council, an industry association, is pushing for government incentives to help generate some 2.6 million barrels of liquid fuel a day from coal by 2025. That would satisfy some 10 percent of America's expected oil demand that year. The plan would require 475 million tons of coal a year, which represents more than 40 percent of current annual U.S. production. 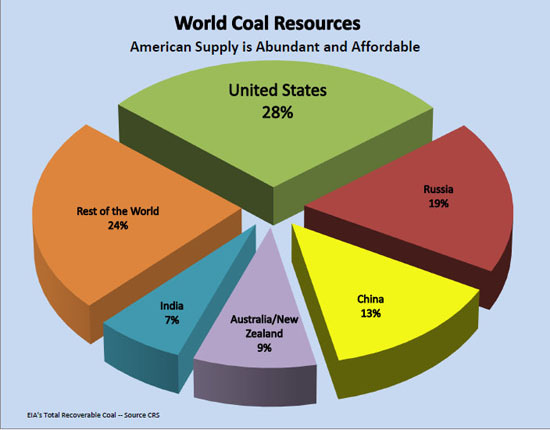 Industry officials believe America's coal reserves are big enough to allow for the extra production. Coal-to-liquids "is not going to replace oil," says Lean Strauss, a Sasol executive who directs the company's overseas energy business. "But it's an important substitute. It is one of the solutions to energy security." In June, two senators from coal-producing states, Barack Obama of Illinois and Jim Bunning of Kentucky, introduced a bill to offer loan guarantees and tax incentives for U.S. coal-to-liquid plants. It amazes me that the what used to be "can do" leadership in this country has become a bunch of "true believers" in what is provable nonsense. I expect better from those who are concerned with our national security and especially from those tasked with maritime security, who should be arguing for reducing our energy sealines of communication through developing all of our resources, and not just those in favor with one administration or another. It's not fossil fuel, but why are we not developing and encouraging the use of nuclear power? Because Harry Reid says "no" to a viable storage location for spent fuel in his state? You want to get people working? Get them working on this - developing our fossil fuels, nuclear power and, yes, alternatives. 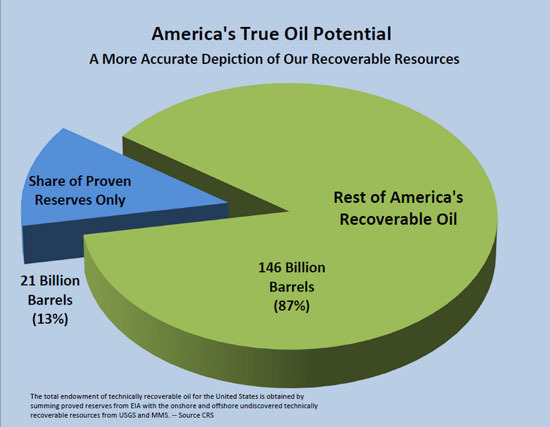 Once weaned from imported oil, we can use our internal supplies as we develop the "alternative energy" sources. While being less vulnerable in the process. Or I guess we could rig sails and fly kites. Or build triremes. All the while sitting on huge energy reserves. The Navy’s goal is to shift half its energy usage from fossil fuels to renewable sources by 2020. Critics have cast doubts on these plans, and have questioned the Navy’s assumptions about the future cost of biofuels. 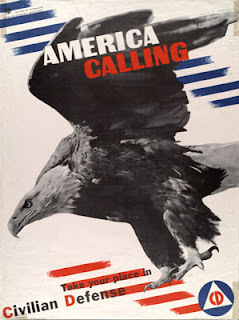 Other experts have pointed out that the military, which accounts for less than 2 percent of all U.S. fossil fuel demand, cannot on its own drive the renewable energy market until the United States adopts a national strategy that would generate greater economies of scale. Count me as one of those critics . . .
Has SecNav Mabus made ANY smart statements or decisions during his tenure? If so, I'm unaware of it. Perhaps the U.S. Navy should advocate building more nuclear powered vessels, to reduce the Navy's dependence on oil. I asked Mr. Tom Hicks, Deputy Assistant Secretary of the Navy for Energy, about using more nuclear powered vessels and his reply was that oil had to be at $150 a barrel for it to make sense. I remain truly amazed at the ease with which the government uses the military for seemingly endless non-military nefarious social engineering programs. Yet they turn to us, our hands increasingly bound with politics and grin and say "now lead"